Calling card, Granby Workshop Delivery Calling Card. Supplied to the Crafts Council during the purchase of work for the Primary Collection. 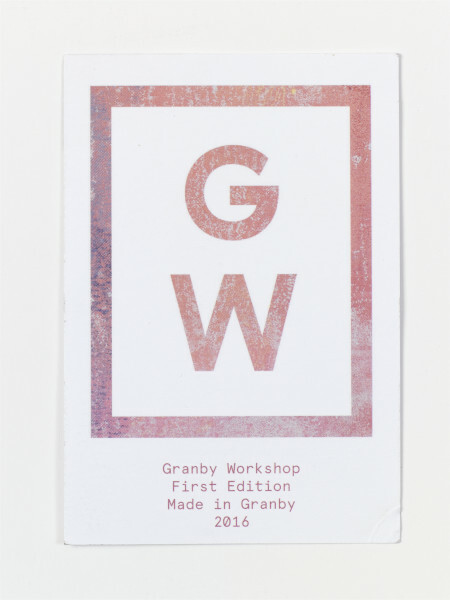 Card 'Granby Worshop First Edition Made in Granby 2016', Granby Workshop, 2016, Crafts Council Collection: AM448. Photo: Stokes Photo Ltd.